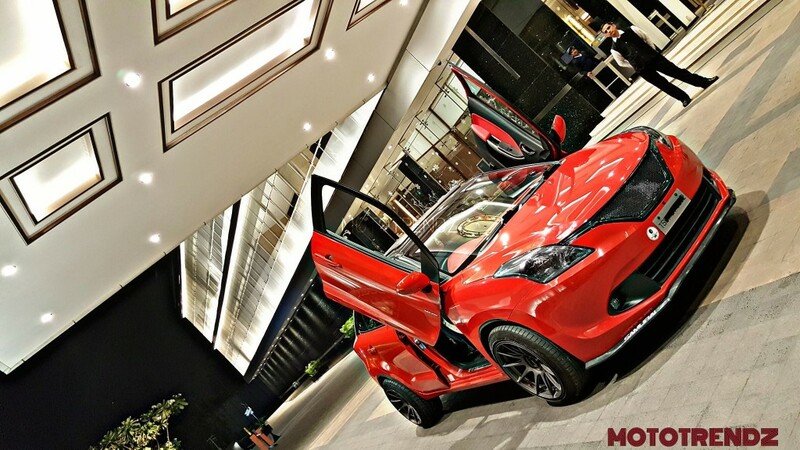 Custom Maruti Baleno by MotoTrendz: Maruti Baleno won millions of hearts with its eye catchy design and premium presence in India. 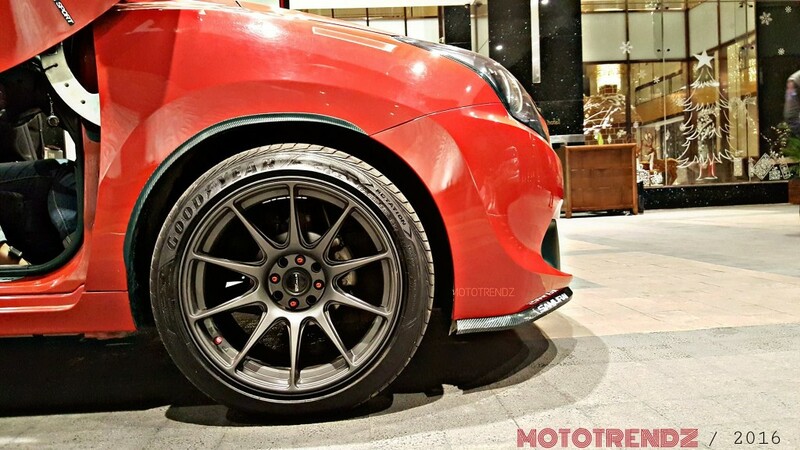 People have been making their Baleno special with host of modifications, ranging from custom grills to even larger alloy wheels on the premium hatchback. 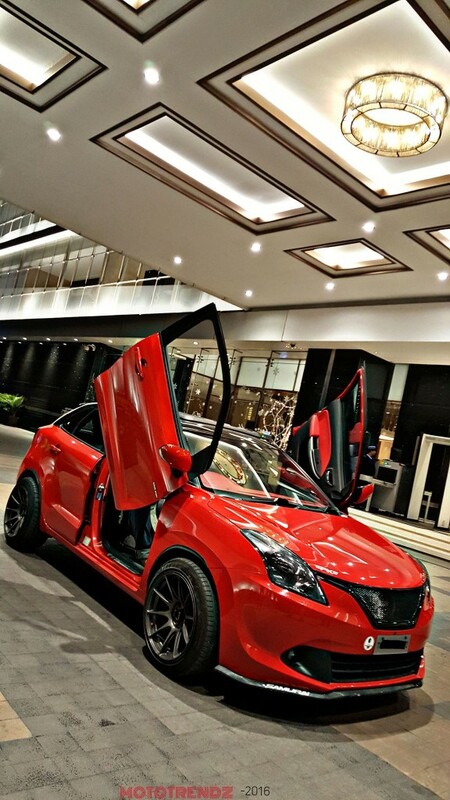 In this case, the car has crossed all borders and got itself those fancy scissor doors for the best ever experience. 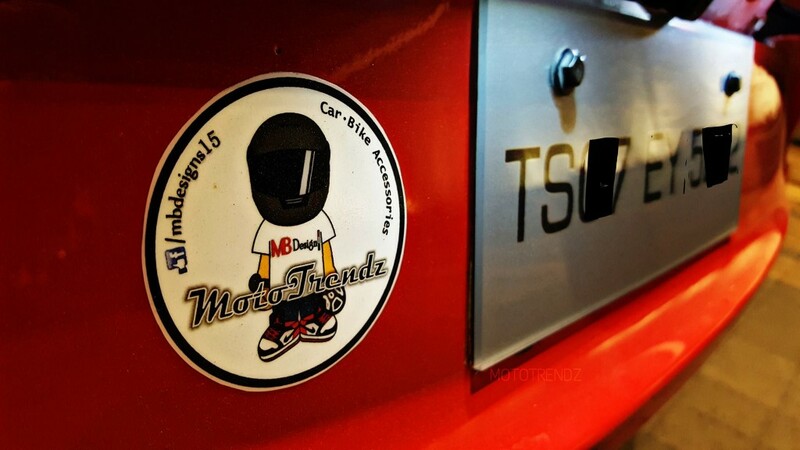 The modification has been done at MotoTrendz, Bengaluru and carries the tag of being the first Baleno to get such extensive body work. 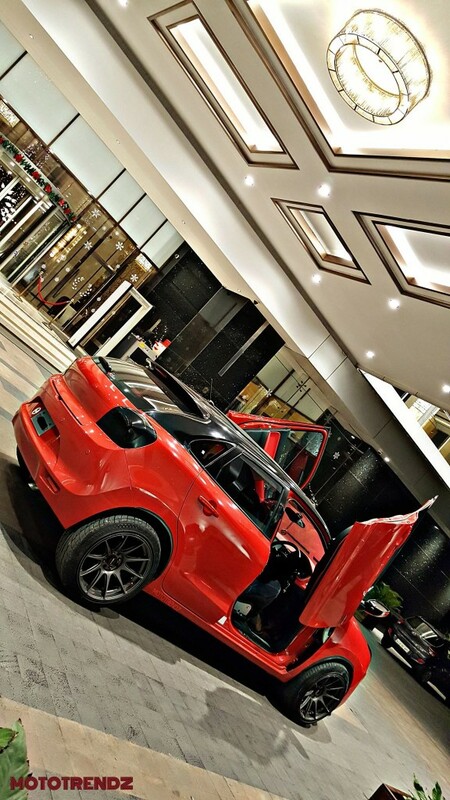 The car comes with no chrome in this case, replacing everything with the evergreen Gloss Black shade. 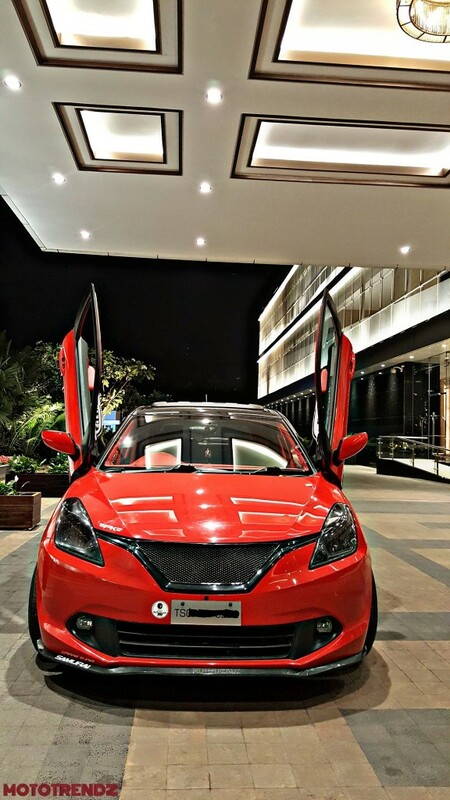 The roof of this Baleno, along with the side pillars is again finished in Black, providing dual tone essence to the car’s paint. The front carries aftermarket splitter and a custom Black grill. 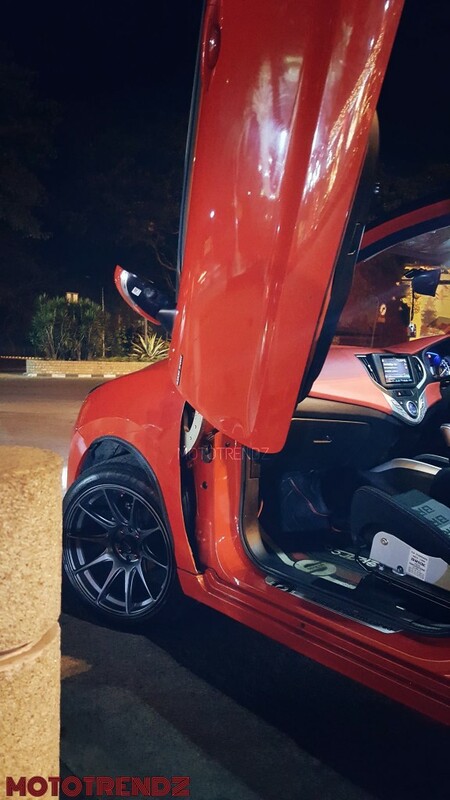 The car rides on 17 inch wheels with wider tyres while the rear gets smoked tail lamps. 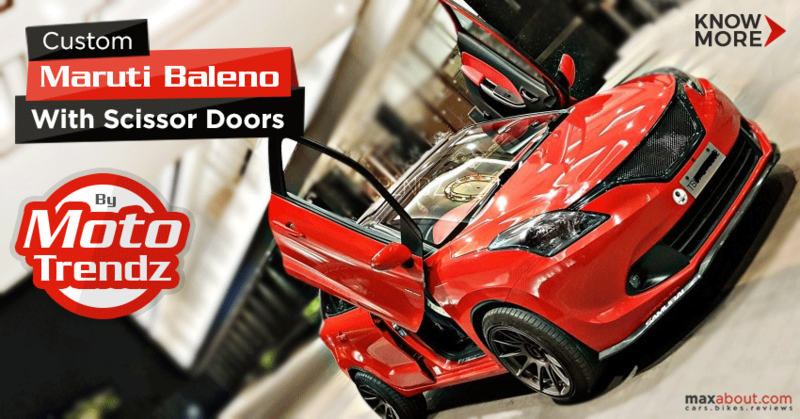 Sunroof feels best at its place on the Baleno while its scissor doors provide the same feel as an exotic Lamborghini. 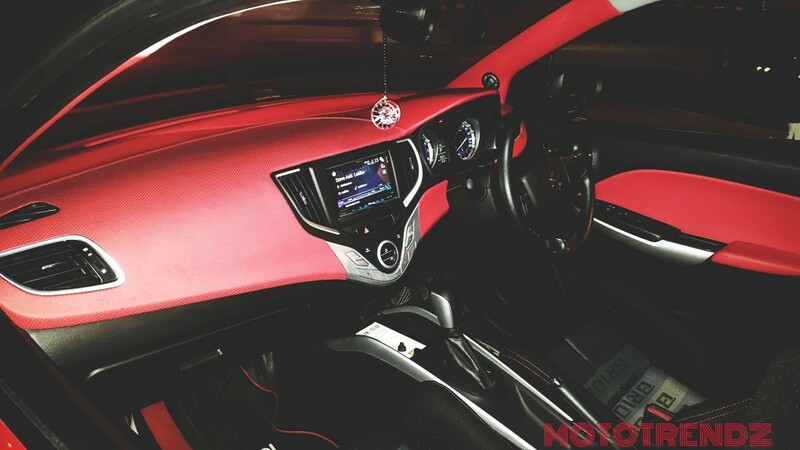 The interior shares the same theme as the exterior, wrapping up the dashboard and door panels in Red and leaving the lower section in Black. 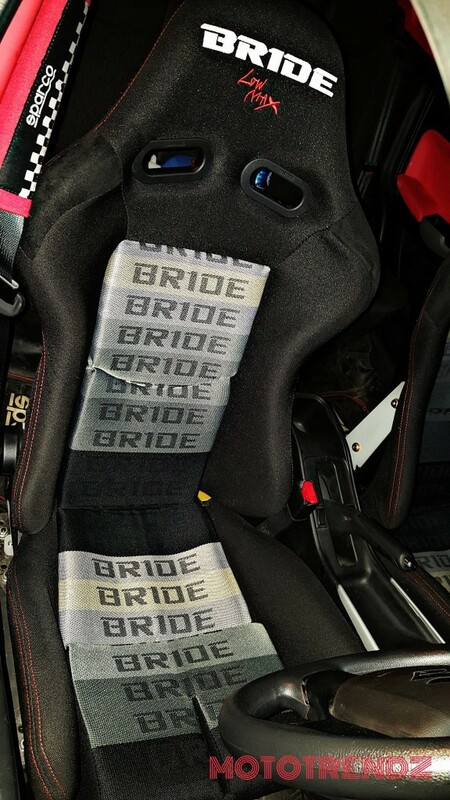 It gets Bride racing seats for the front and keeps the standard bench for the rear. 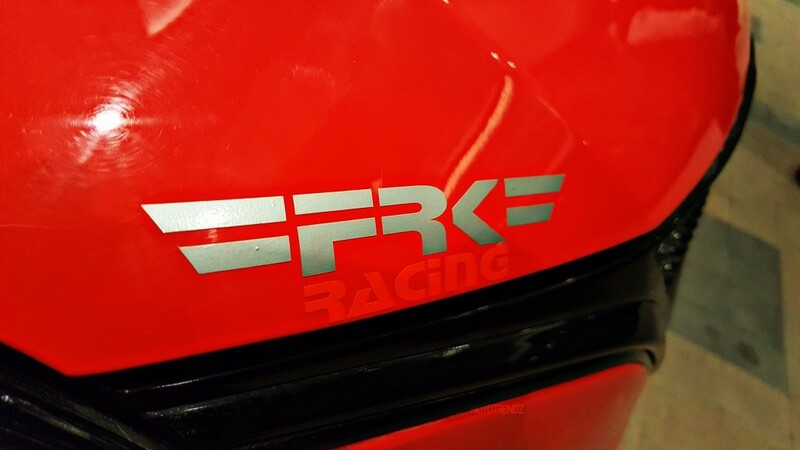 The performance has been partially enhanced with K&N air filter and FRK custom exhaust system. 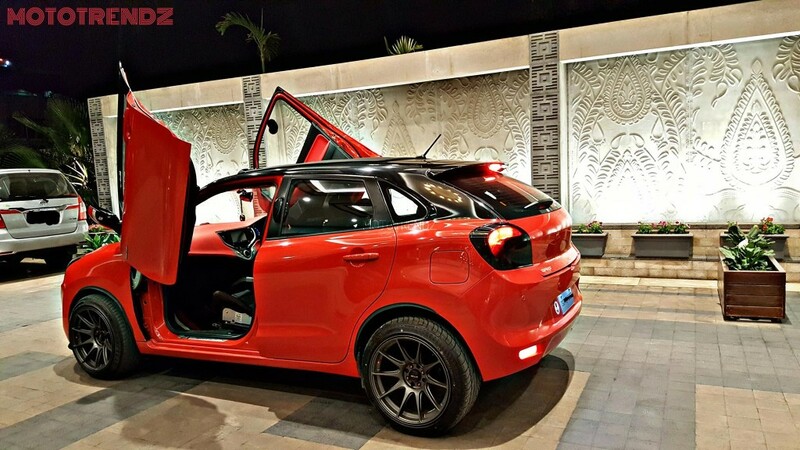 Maruti Baleno in its stock version produces 83 PS for the petrol version while this petrol hot hatch would be definitely faster with the customer parts. 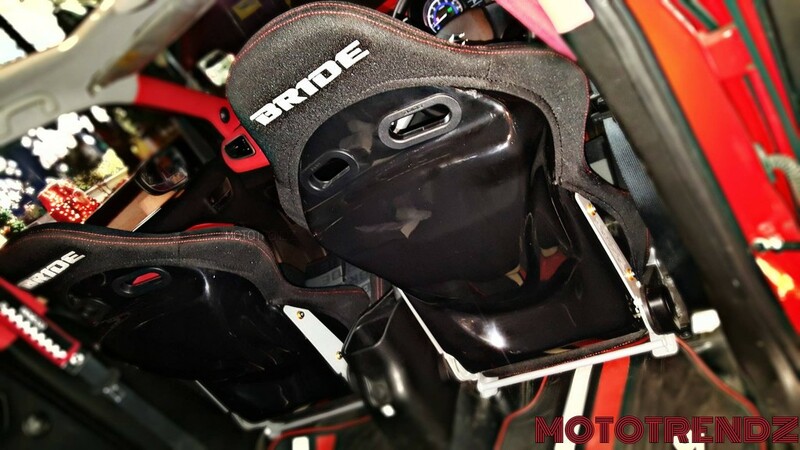 The cost for the modification is undisclosed at present.